My giveaway is still open...you have two more days. Go here to the Giveaway Day post. For those of you who do not know, I have a podcast called The History Quilter. You can find The History Quilter podcast on iTunes and on Podbean. Episode #8 was published Thursday evening and the following are the podcast notes. Pioneer Women coming across the continent on the Oregon Trail and their quilts. White Lotus Yoga Retreat http://www.whitelotus.org/ Located in Santa Barbara, CA. On our way to the retreat, my friends and I stopped at Aldo's Restaurant in Santa Barbara, CA for lunch and enjoyed a fine meal of crab cakes, various pastas and salmon. 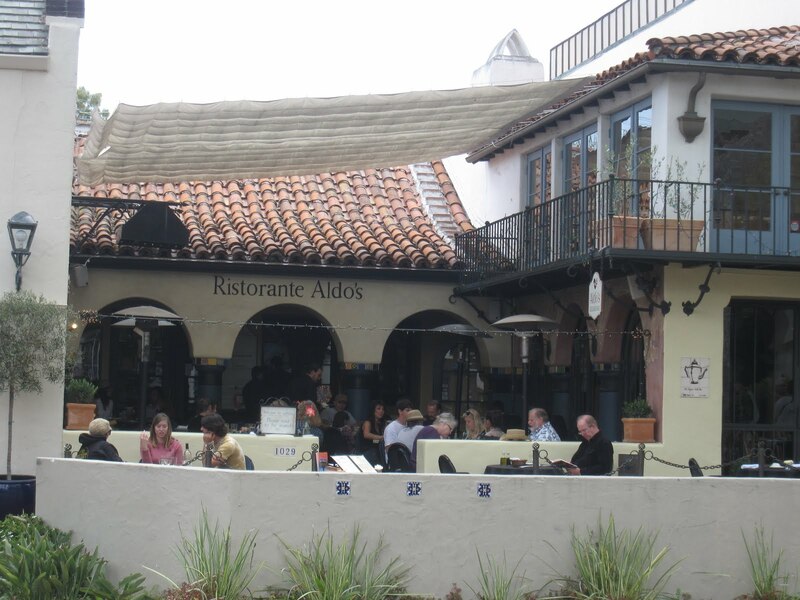 Attentive service and a picture perfect outdoor location made for a great time. Listener Claire from Vermont told me about the Quilt Study podcasts on iTunes. Search for "International Quilt Study Center" in iTunes and it will come up in the iTunes U section. FYI: The University of Nebraska-Lincoln (where the International Quilt Study Center is located) also has some other very informative podcasts including the Backyard Farmer which I just discovered. The Bowers Museum in Santa Ana, CA will be exhibiting "Quilts: Two Centuries of American Traditions and Technique" from July 3 - 31st. The International Quilt Festival will be in Long Beach, CA from July 29-31st. If you will be coming to the Festival and would like to meet up, let me know. In Episode #8, I spoke about Pioneer Women traveling across the continent on the Oregon Trail. The first female I spoke about was Lucinda Ann Leonard Worth and her experience as a nine year old on the trail. 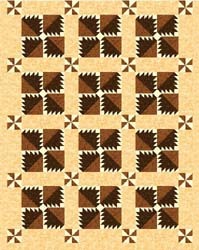 The quilt below was made by her mother in 1840 but was carried by Lucinda along the Oregon Trail. If you would like to know more about those who crossed the North American continent via The Oregon Trail please check out http://www.isu.edu/~trinmich/Oregontrail.html . Chef Thomas Keller - talks about dry and wet brining. Chef Nancy Silverton - one of the "bread gods" in my opinion, talks about focaccia. Fancy Food Trucks and their costs. Roach Coach, Luxe Lonchera, Fancy Food Truck - whatever you call them, they are appearing everywhere in major cities across the United States. Want to see how much these vehicles cost? Go here to check it out. What a great blog. I will stop in at Bower's during that time. Thanks for the heads up. I will be white gloving at the Long Beach Festival this year. Now, do you know about the Wednesday Food Truck Lunch in Long Beach? Lunch Truck It in Long Beach. Yum!